Name your water heater trouble and Pride Plumbing has a solution. 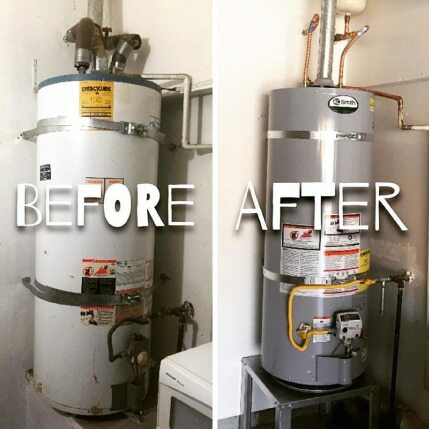 We have solved water heater problems all across the Inland Empire, and we have determined there is no hot water issue we can’t fix. Do you hear a hiss, sizzle or gravelly noise? That might be the only warning you get before a bigger issue arises, like a burst tank. Have water heater maintenance will help clear sediment from your water source that accumulates over time. You will have no hot water if a burst occurs, and there will be flooding.This can have a few different causes: high internal pressure, rust and sediment buildup. Pressure builds up with the temperature is above 140-145 degrees. Rust occurs in old water heaters, causing orangey brown water. Leaks can occur from the drain valve, tank, outlet connection or the bottom. It can be difficult to tell where the leak is coming from. Causes include loose connections, defective parts, excess pressure or deterioration of the heater. Whether you have a tank or tankless water heater, all will fail eventually. Pride is here to help with a replacement if necessary, but we will always provide a repair if that is all that is required. Whether it’s routine maintenance or an emergency fix required, we are your local plumber. No plumbing task is too complicated, and we guarantee professional and efficient work. 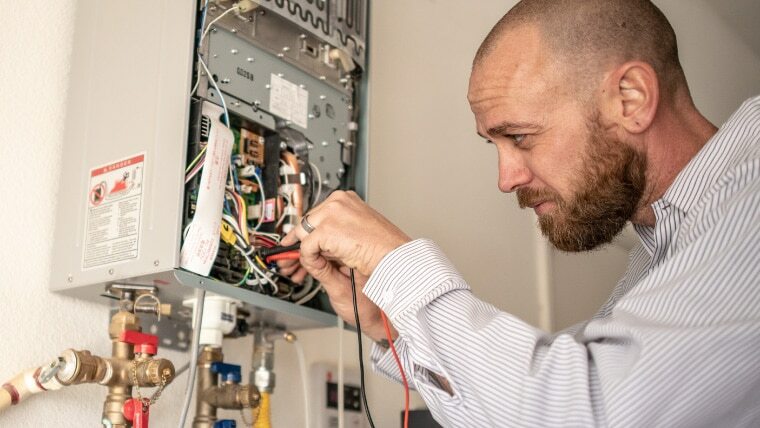 We are happy to answer your questions and provide the information you need to get your water heater situation resolved. Pride Plumbing Services has a skilled team of plumbers offering a full range of plumbing services. For reliable and dedicated service for your water heater or water filtration system, call us today at (909) 372-1239!